So, you’ve decided you’re going to take the plunge and go self-employed. But how do you know what National Insurance you’ll need to pay? When you become self-employed, you become responsible for paying your NI and tax on your income, so you’ll need to be organised and maintain all of your records to ensure you know what you will need to pay. Unfortunately, this isn’t always straightforward as it can vary based on the industry of your employment and whether you are both employed and self-employed. 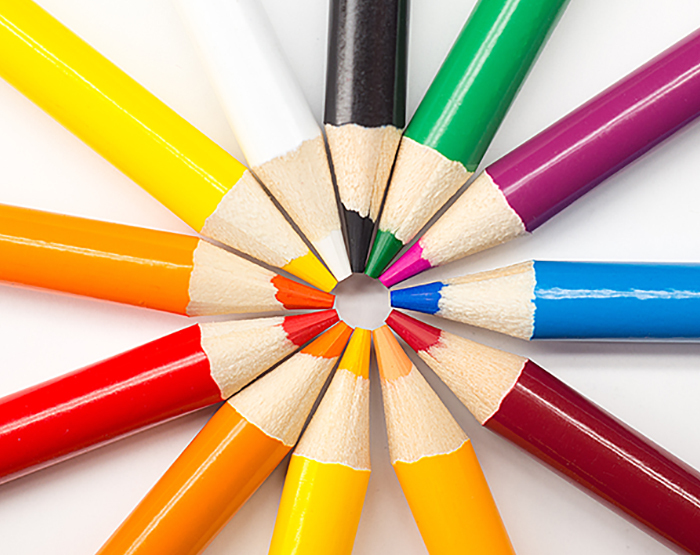 So, we’ve outlined some of the key considerations for working out your National Insurance. When you are self-employed, there are two Classes of National Insurance that may apply to you. If your profits are £6,205 or more in the 2018/19 tax year, you will be required to pay Class 2 NICS of £2.95 a week. If your profits exceed £8,424 (up to £46,350), you will need to pay Class 4 NCIS which is 9% of your profits in the 2018/19 tax year. For profits exceeding £46,350, you will be required to pay an additional 2% on the excess. Some people within specific jobs may not be required to pay Class 2 NICS – notably those who run businesses in the land or property sectors. Alternatively, you may have what are known as gaps within your record of paying National Insurance – meaning you will not have made enough contributions over your working lifetime to qualify for a full State Pension. This could be for several reasons, such as having received low earnings from previous employment, made a small profit whilst self-employed or if you were unemployed without claiming benefits for a time. If this is the case, all is not lost and you may still qualify for a State Pension by paying voluntary National Insurance. However, it’s best to seek professional advice as not everyone will benefit from voluntary contributions; we can provide you with the advice you need around the benefits of paying voluntary contributions. How do I pay National Insurance? The key difference in paying National Insurance when you’re self-employed is that you are now responsible for paying this yourself, rather than paying it automatically every month. 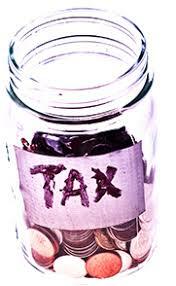 To do this, you’ll need to complete a tax return (Self Assessment) at the end of the financial year. We know that this can be daunting for many and deadlines aren’t everyone’s strong point – but don’t worry! That’s why we’re here; we can provide tax and accounting services to help see you through the whole year, not just around tax year end. If you still feel confused after reading this, don’t worry. At accounting4contractors, we’re here to simplify these processes for you and allow you to focus on the everyday running of your business. If you’d like to discuss taxes or National Insurance with experts who understand the challenges of small businesses, get in touch with us today. So you’re thinking of giving up the day job to become self-employed? It’s a big and scary decision, but one that will have you buzzing with excitement. 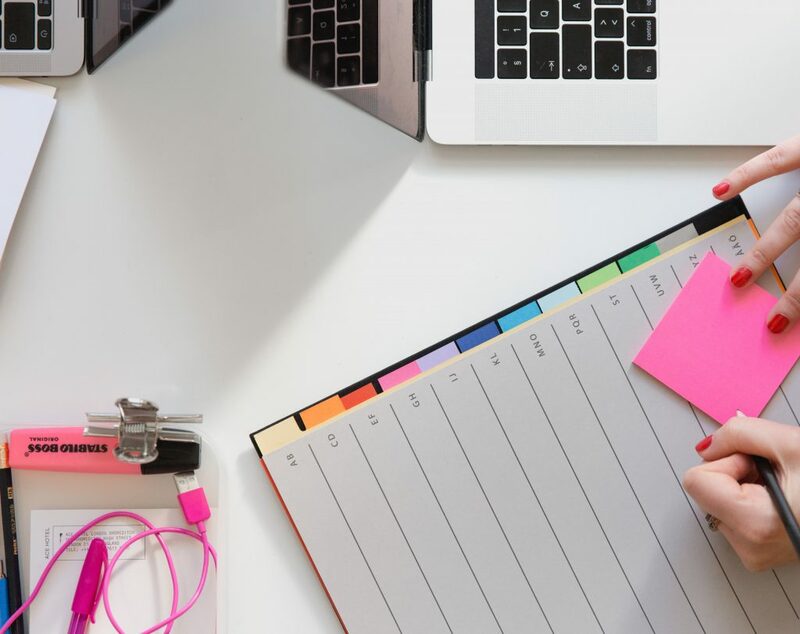 You’ll be planning your logo and business stationery, mapping your website and dreaming up entertaining social media posts, but you also need to spend time on the structure of your business and knowing where to start in relation to accounts and tax can be daunting. We’ve put together a step-by-step guide for those starting out as self-employed. Step 1: What kind of business are you starting? 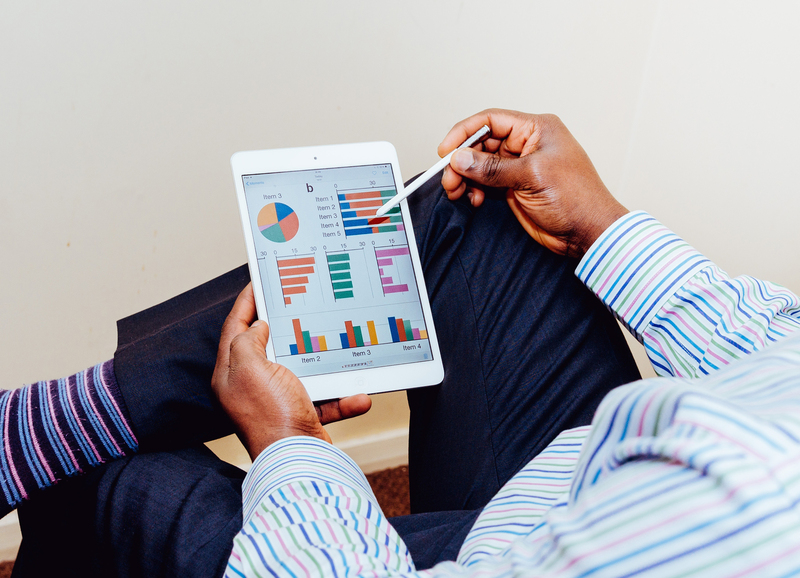 You are likely to be familiar with the terms ‘limited company’ and ‘sole trader’, but it’s important to know the difference and how it will affect your business structure. Quite simply, a sole trader is a self-employed business owner who is the sole owner of the company. It’s a simpler way to start in business. You need to keep a record of your income and expenditure and at year-end you declare your profits and pay tax and NI to HMRC under self-assessment. A limited company will be registered with its own legal identity, that is separate to you, the owner, and any other stakeholders. You can be the sole owner of a business and still register as a limited company, this offers advantages such as protecting your personal assets, but does require greater compliance in relation to your accounting and tax affairs. Are you going self-employed, but still working for a company part-time? It’s important to note that if you are registering as self-employed, but still working part-time for an employer, you will need to pay tax through both PAYE (the standard when in employment) and self-assessment. If you’re setting up as a sole trader, you will need to register for Self Assessment with HMRC and file your tax return. It’s best to do this as soon as you can, as fines can apply if you fail to register your business within its second tax year. You can register yourself online, or appoint an agent, such as a4c, to register on your behalf. During the registration process, you will also need a legal statement, signed by all shareholders, that agrees to the formation of the business, as well as written rules of the company that have been agreed. Once you’ve informed HMRC that you’re self-employed, we would recommend that you set up a business bank account to ensure you manage business assets separately from personal affairs. You’ll also need to start keeping a record of your business expenses, income, outgoings and therefore your profits. Whilst some business owners are confident in managing this themselves, some do not feel they can manage this independently, whilst others simply may not have the time. We can help! We provide a range of accountancy services to help you focus on running your business, from the day to day accounting support to supporting you with tax. Depending on your annual turnover, you will also need to determine whether you need to register for VAT. The threshold for VAT is £85,000 so, if you think your turnover will exceed this you must register. There can be benefits to registering for VAT before you reach the registration threshold, such as the ability to reclaim VAT you’ve paid on your purchases, it can also help your new business to appear more established and perhaps more professional. You may be required by law to have certain insurance policies in place as a business owner, but having insurance policies in place will also provide you with peace of mind that you and your business are protected against unexpected issues such as damage or accidents. 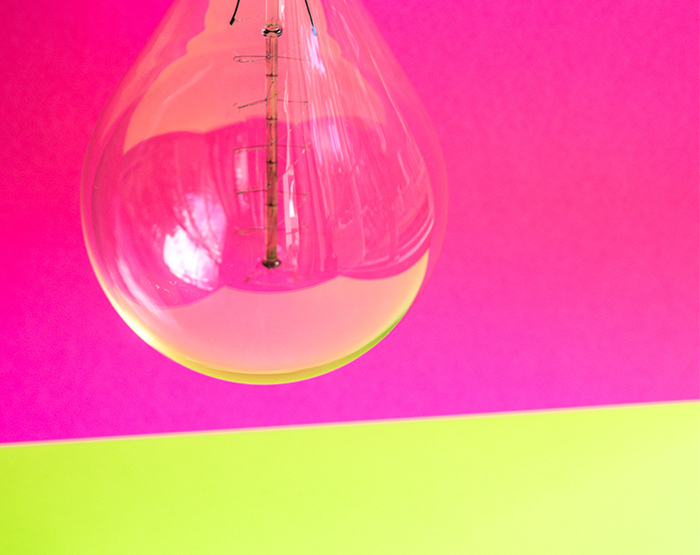 The ins and outs of going self-employed can be difficult to get to grips with. At accounting4contractors, we help a variety of business owners just like you. From starting out, to tax planning and helping with the recording of income and expenses. If you’d like to speak with experts in all things accounting, tax and expenses, contact us today to see how we can help you establish your business. A company car is considered a taxable perk by HMRC. Officially a company car is known as a Benefit In Kind (BIK), because there is a monetary value attached to your ability to use it privately. As a result, the value of the car is added to your taxable salary, you pay additional tax and the company pays Employer’s NIC. The easiest way of calculating how much tax you will have to pay on a company car is to visit the HMRC website – https://www.gov.uk/calculate-tax-on-company-cars . HMRC works out the amount of BIK tax you pay based on the amount of CO2 emissions a car emits. There are several emissions bands and each is allocated a percentage value which is multiplied by the car’s list price, HMRC refers to this as the P11D value. Additional percentage points are also added if the vehicle has a diesel engine. The amount of company car tax you pay is dependent on your annual salary. For example, if you fall into the Basic Rate Income tax bracket, you’ll pay 20% tax on the car’s P11D value. Those in the High Rate Income tax bracket pay 40%. If the company pays for fuel there’s additional tax to pay on this benefit. We normally assume that you will be paying for the fuel personally and reclaiming a mileage allowance on actual work journeys undertaken. Note, the mileage allowance for company cars is at a reduced rate, depending on the engine size and fuel type. The company will own the car and therefore can claim capital allowances which would reduce Corporation Tax (the car would be eligible for writing down allowance of 8% of the cost price on reducing balance basis over a number of years). If you lease a ‘qualifying car’ for business purposes the company will normally be unable to recover 50% of the VAT charged. A leased vehicle will also not be ‘owned’ by the business and therefore cannot be sold if the company needs to raise capital. However, the company can claim the monthly lease payments as a business expense. In short, when it comes to company cars, it makes sense for SMEs to choose leasing over ownership, because of the benefits of tax relief and VAT-reclamation. However the monthly costs may be higher so it’s worth running comparison calculations to see which figures work the best for you. Commercial Vehicles have different rules! When it comes to company cars, there is no ‘one size fits all’ and so we aim to give you as much information as possible so that you can make an informed decision based on your circumstances. Of course, if you wish to discuss any of the information contained within this guide then don’t hesitate to get in touch. IR35 plays an important role in the lives of many of our contractor clients. If you are a contractor then you need to be aware of this legislation as the cost of getting it wrong can be vast. At A4C we have composed this IR35 Guide to help you understand how the rules may impact your contracting career. 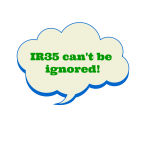 IR35 is properly known as the Intermediaries Legislations. Introduced by the Chancellor of the Exchequer, it was intended to counter tax avoidance by the use of so-called personal service companies (PSCs). The aim was to prevent workers from setting up limited companies through which they could work as an employee whilst saving on tax. 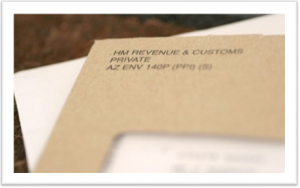 What do HMRC look for? They look to see if there is a hypothetical contract in place between the hirer and the PSC enabling disguised employment. How does HMRC decide if a contract falls within IR35? There are a series of employment status tests to see if your services have been engaged in a genuine self-employed capacity. Can you hire someone else to do the work at your own expense? Do you provide the main items of equipment for the contract? Do you agree to undertake the contract for a fixed price regardless of how long the job may take? Can you decide what work to do, how and when to do it and where to provide the services? Do you regularly work for a number of different clients? If you make a mistake do you have to correct unsatisfactory work in your own time and at your own expense? If you can answer yes to the following questions then you should be fine, but may want to seek advice to be on the safe side. Should you worry if your contract falls within IR35? Operating through a PSC is not illegal and you can undertake contracts which fall inside IR35, but if you do you must pay full tax and national insurance. Recent publicity surrounding ‘off payroll’ payments within the BBC, the student loan companies and service providers to the London 2012 Olympics means that the focus is back on IR35. HMRC frequently asks are these individuals genuinely in business of their own accord or simply using these payment vehicles to avoid their full tax and NI obligations? In recent years HMRC has raised a number of IR35 challenges, although it is well know that they have won very few. Most likely because of the legislation being poorly written and hard for courts to apply. As a result of this there has been significant investment in the way IR35 investigations are administered and therefore it is important that contractors know what IR35 is, whether they are caught by this legislation and the impact it could have, as the chances of winning future reviews are expected to swing significantly in HMRC’s favour. On a positive note, HMRC has acknowledged that there is a lot of uncertainty in the contracting sector surrounding IR35. They agree that it is clear who definitely falls outside of IR35 and those who definitely fall inside IR35 but there is a huge grey area in the middle. You can score a lovely 10 points if you have business premises which are not at your home or the client’s premises. It doesn’t matter how swanky your barn conversion or German huf house is, if it’s at your home address you don’t get the 10 points. Rent a desk in a serviced unit with supporting evidence to prove it and the points are all yours! You can score 10 more points if you were unable to recover funds for work completed within the past 24 months. This bad debt should be around 10% of your annual turnover. This one seems a little strange because if you manage your contracts professionally and only take those contracts you consider to be ‘good payers’ then you wouldn’t qualify for these points. However if you frequently get asked to leave contracts for poor performance followed by unpaid invoices then you can assume you’ve got these points in the bag! There are 2 points available if you invoice for your services and negotiate payment terms. A low risk rating by HMRC will give you a 3-year period of grace, assuming you told the truth and don’t change the business model. You can obtain this formal rating by having your contract reviewed via the IR35 helpline and contract review service. The lesson to learn from all of this is that HMRC do not say that hirers cannot engage contractor’s services ‘off payroll’; they accept that there is a valid need across the public and private sector. Their concern is simply that the PSC’s are legitimate and organised formally. Following the recent economic climate many previously employed professionals who have found themselves made redundant have made the decision to switch to a future career as a contractor. There are considerable work / life benefits in opting for this career path but it can seem a little daunting too if you have been an employee for most of your working life. When starting out as a contractor you are likely to secure your first few contracts through a recruitment agency and therefore we have given you the following information relating to the payment options available to you. In this scenario you become an employee of the agency, which is the more traditional ‘temp’ model. Tax and National Insurance contributions are deducted at source. You will be paid weekly or monthly on submission of a timesheet. This is suitable for short term assignments and is the route that most mainstream temporary workers adopt. As an employee you are entitled to full statutory rights and benefits and can expect an approximate net take home pay of 66%. 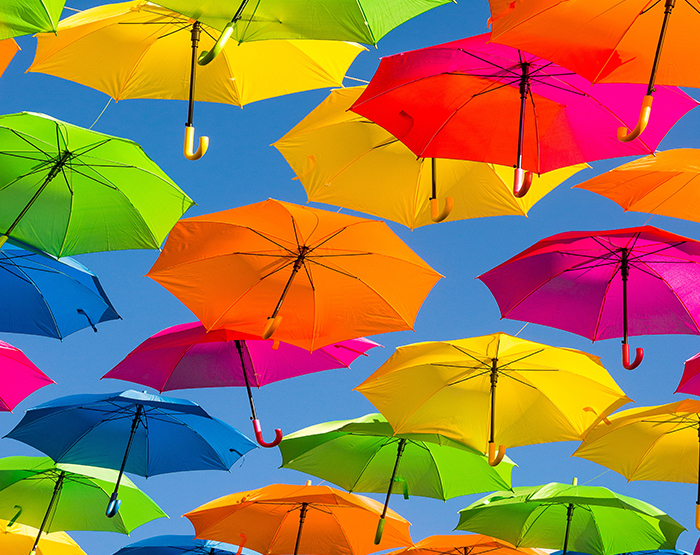 Umbrella companies have been around for many years but are relatively unknown to most temporary workers. Through this model you are employed by the umbrella company and as above Tax and National Insurance contributions are deducted at source (along with the umbrella’s fee). With this route you are able to reclaim limited expenses which can help to reduce the tax and NI you pay. This is a tax efficient route if you are only planning on taking very short term contracts or are only temping whilst looking for a permanent role. Once again you are entitled to full statutory rights and benefits and can expect an approximate net take home pay of 72%. This is the traditional contracting route and allows you to trade through your own limited company. The Company engages with a client (i.e. the recruitment agency or end client) providing your services, an invoice is submitted for the work carried out and you are responsible for managing your business and personal tax affairs. As a limited company contractor you claim legitimate business expenses, pay yourself a low annual salary and take dividends on the profits generated by the business. Dividends are free from National Insurance and as a result you can expect a net take home pay of around 85%. Most contractors choose option 3, however operating through a personal service company is not a decision to be taken lightly. As the director of the limited company you will have legal responsibilities and will need to commit to the long term running of your company with the intention of making a profit and paying all tax obligations as required. We have plenty of experience helping contractors decide if this route is for them, including valuable guidance surrounding the IR35 legislation. Once you’ve decided to take the plunge we can help you incorporate your company, register with the necessary authorities and put the processes in place to maintain compliant accounts from day one. We will give you the tools required and simple instructions, all you need is a computer or laptop and a few minutes each week. You then pass your records over to us and we’ll do the rest. To find out more give us a call on 01737 652 852 or submit an enquiry with your telephone number and we’ll call you back! Are you claiming all the expenses you’re entitled to? Business mileage, when using your own vehicle can be reclaimed at 45p for the first 10,000 miles by car (different values for motorbikes / bicycles). Petrol receipts are not needed but you must record the journey postcodes. Car parking charges (not fines) can be reclaimed. Receipts should be retained but minor values entered into a parking meter can be claimed without proof. Clothing can be reclaimed but ONLY IF used for work and identified with a permanent logo or corporate embroidery. Sorry you can’t claim for that sharp new suit! Disability equipment can be claimed, as long as it is also available to all other employees with a disability. Food & drink expenses (also known as subsistence) can be claimed for meals taken whilst away from your normal place of work (i.e. your registered office or principal place of work). Receipts must be retained. Homeworking can be reclaimed at £4 per week, without proof of costs. If you predominantly work from home then this value can be increased with supported evidence. See our dedicated working from home – expenses guide for more info. Incidental expenses incurred when staying away from home can be claimed at £5 per night, without receipts, to cover the cost of laundry, phoning home etc. Mobile phone calls can be reclaimed when they appear on an itemized bill. Note that if the phone is owned personally then line rental cannot be reclaimed. (If you have a limited company then it is far better to have the mobile phone tariff through the business than personally). Overnight accommodation – if you stay away from home on business then the cost of your hotel or B&B can be reclaimed. Remember to keep the invoice as proof. Public transport can be reclaimed for business related trips. Either retain your ticket / receipt or ensure that your Oyster statement details journeys taken, dates and costs. Postage costs for business related correspondence. Stationery such as envelopes, pens, notepads and other minor office equipment. Tools can be reimbursed but only if the tools are used for work purposes only. Training courses attended and paid for in line with work can be also be reclaimed. in line with business duties and that you have the required proof, such as a receipt or invoice. If you require further information give us a call on 01737 652 852 or use the enquiry form on the right.